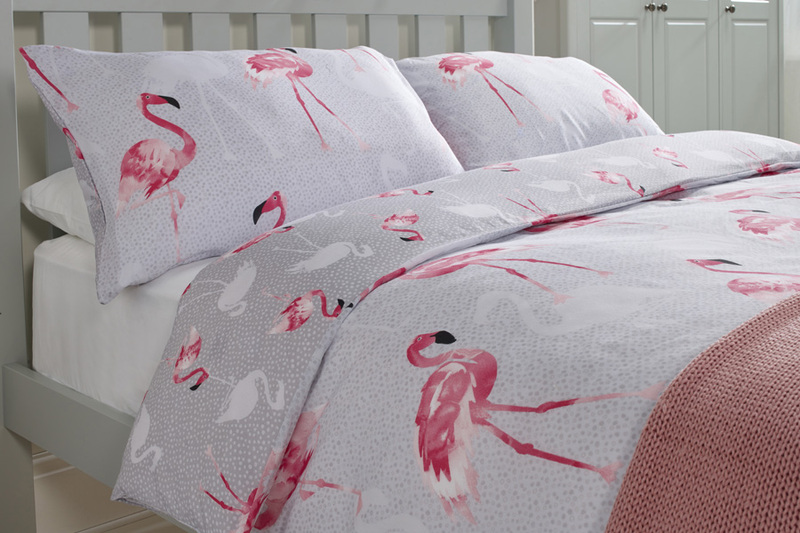 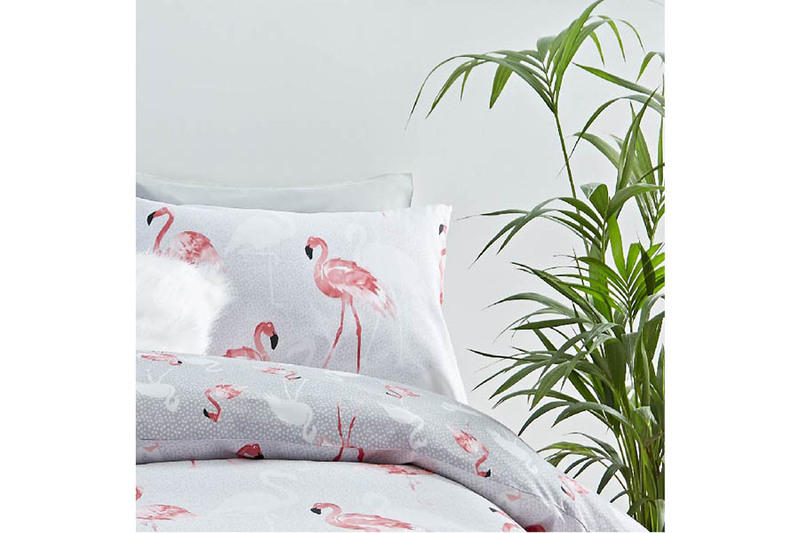 A on trend duvet set which will add a drop of tropical to your room. 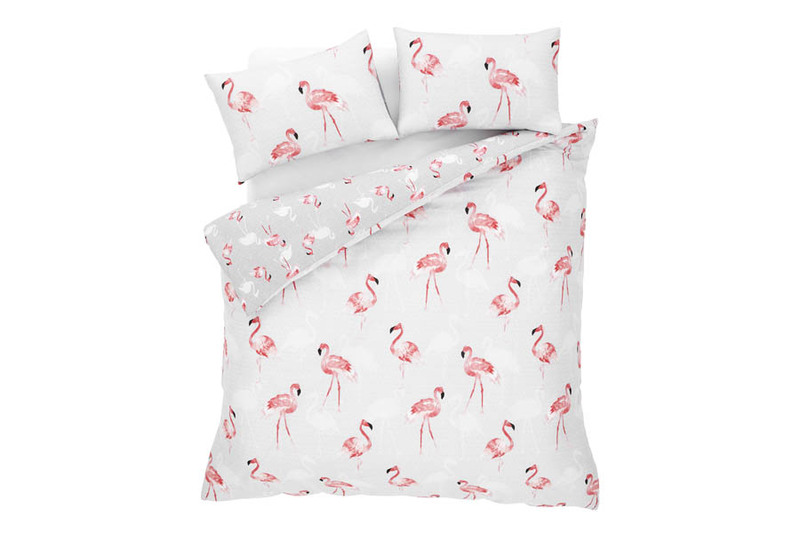 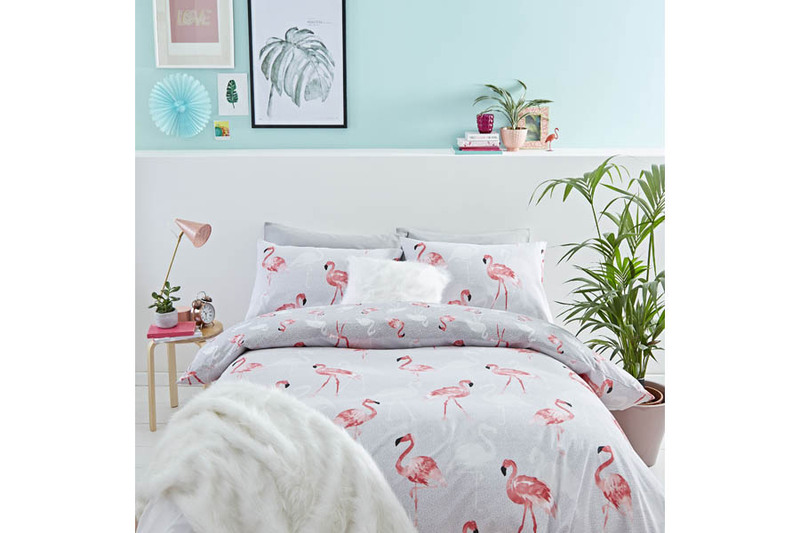 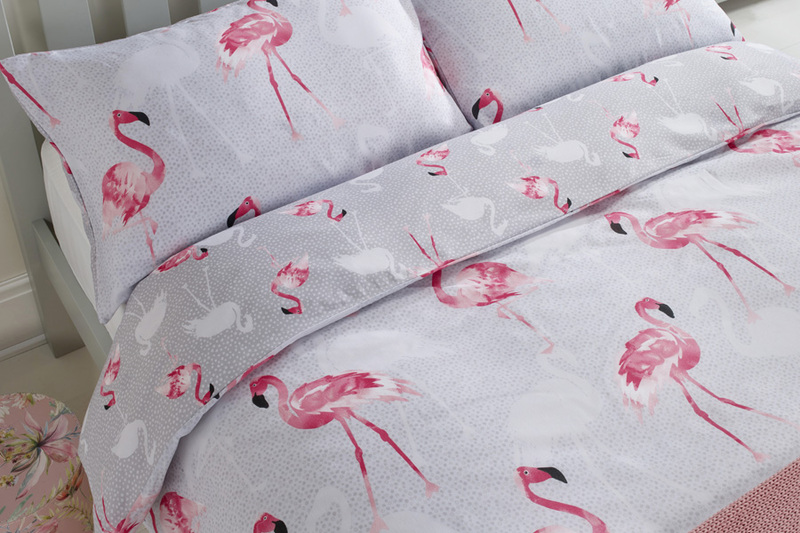 This Double Flamingo Duvet set is fully reversible and is just perfect with it’s soft spotty grey background and pretty in pink flamingo’s it really is a must have. Also available in a single.